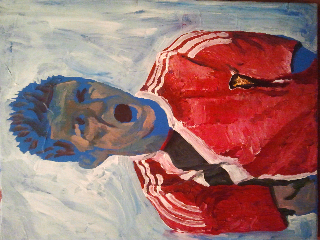 So I have been wanting to do soccer paintings for a while now. Soccer have to be the next day big topic of the contemporary art world right? It's important to me to try and not make these homage paintings but to make them more about painting.